Tonight is the first night of Hanukkah! 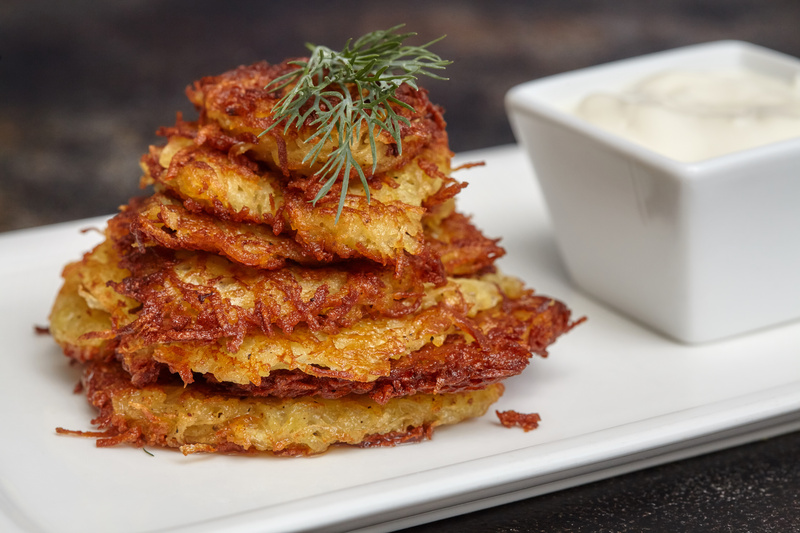 Here is my favorite latke recipe. Happy frying! 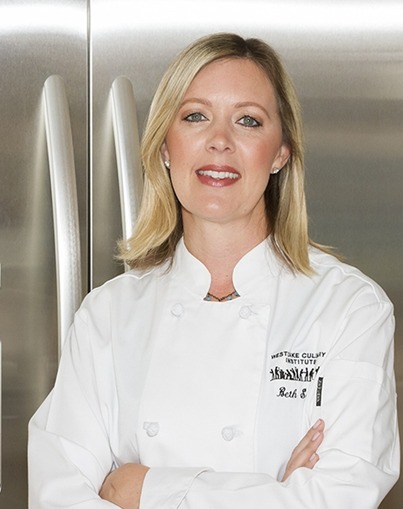 For the best results, use an electric skillet and set the temperature to 350-375 degrees. If you need to make your batch of latkes in advance, cooled latkes can be covered loosely with plastic wrap and held at room temperature for up to four hours. Or, they can be frozen on a baking sheet until firm, transferred to zipper-lock bag, and frozen for up to 1 month. Reheat latkes in a 375-degree oven until crisp and hot, 3 minutes per side for room-temperature latkes and 6 minutes per side for frozen latkes. On a box grater, coarsely shred the potato and onion. Set a colander or cheesecloth square over a big pyrex cup. Squeeze as dry as possible. Let stand for 2 minutes, then squeeze dry again. You should have at least ¼ cup liquid per potato. Let liquid stand at least 5 minutes, until you can see the starch at the bottom separate from the liquid. Gently pour out top of potato water, leaving starch in bottom. Transfer potato starch to large bowl, whisk in the egg, salt and pepper together along with the starch and matzo meal in the bowl. Stir in the potato onion mixture well until all pieces are evenly coated. In a medium skillet, heat about ¼ inch oil until shimmering. Drop ONE packed tablespoon of the potato mixture into the skillet and flatten with the back of a spoon. Cook the latke over moderately high heat until the edges are golden, about 1 ½ to 2 minutes; flip and cook until golden on the bottom, about 1-2 minutes. Drain on a paper towel and taste for seasoning. Add more salt and pepper to the latke mixture if desired. Repeat with the remaining potato mixture, adding more oil to the skillet as needed. Remove any little bits of burning potato from the oil as you go. Do not soak the potatoes in water - it will cause more you have to squeeze out. Do add matzo meal or flour - I use the potato starch and a tiny bit of matzo meal. Do not grate with the food processor - I prefer hand-grated latkes.